Zambia have appointed Nico Labohm as assistant coach to Honour Janza. The Dutchman has been given a contract to be part of the technical team until the end of Zambia’s qualifying campaign for the 2015 Africa Cup of Nations. Football Association of Zambia president Kalusha Bwalya revealed Labohm had previously worked in Zambia. “It was important for us to find someone who knows the terrain and someone who can help the coach Honour Janza,” said Bwalya. “Labohm will bring a lot of knowledge and this is what we need. He has been around for many years, he has worked in Netherlands, Hong Kong, Surinam, Ukraine, Tunisia and Zambia. “We have four more qualifiers to play and Labohm will stay with the team until the end of the qualifiers. Janza was appointed only in August and under him Zambia have made a poor start to their qualifying campaign in Group F, drawing 0-0 with Mozambique and losing 2-1 to Cape Verde. They next face a double-header against Niger and the 2012 champions know they must secure maximum points from those two matches to boost their hopes of reaching next year’s finals in Morocco. While Bwalya admits “we have not had the start that we wanted” he has backed the team to “rise to the occasion” for the rest of the qualifiers. 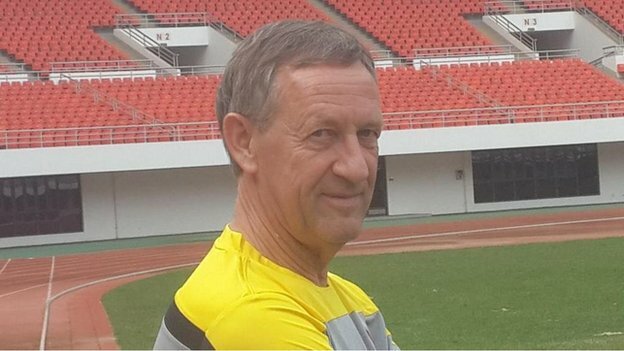 The former Chipolopolo captain also hinted that Labohm could play a role for Zambia beyond November. “Because of the name Zambia has, Labohm felt duty-bound to come, at short-notice, to help the team,” said Bwalya.